I was doing an interpretation job in Silkeborg today where we visited a place called Base to Go. 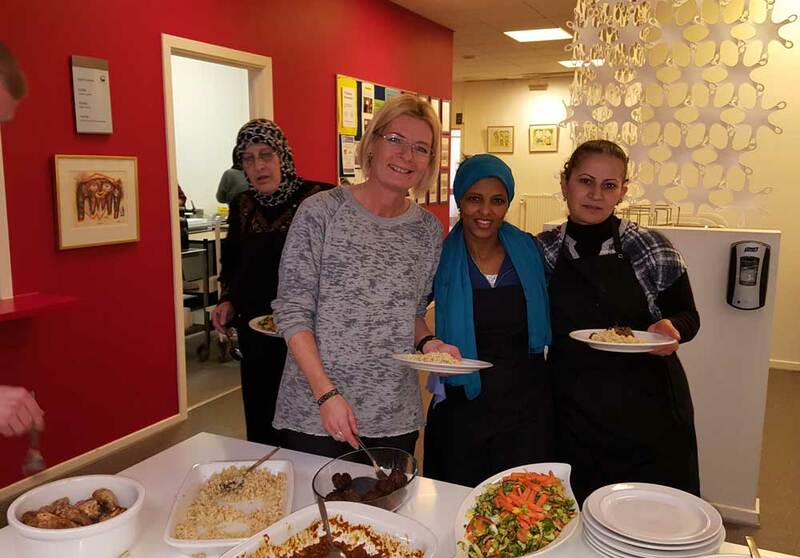 It is a nice place close to the center of Silkeborg where refugees can get together and have a nice time. The place is initiated by AOF and the aim of it is to create a meeting point for both local Danes and refugees to meet and socialize. The building has a small fitness center and room for board games, sewing, painting, table football and table tennis. It provides a space for games such as football and hockey. They also have cooperation with the Red Cross youth organization which provides some activities for kids on Saturdays. The whole idea is to help refugees in their integration process by being part of the social events and to exchange culture. We met Line Skipper who is the manager and some nice ladies from Syria and Eritrea who were working in the kitchen and cooked a very delicious food from their country. 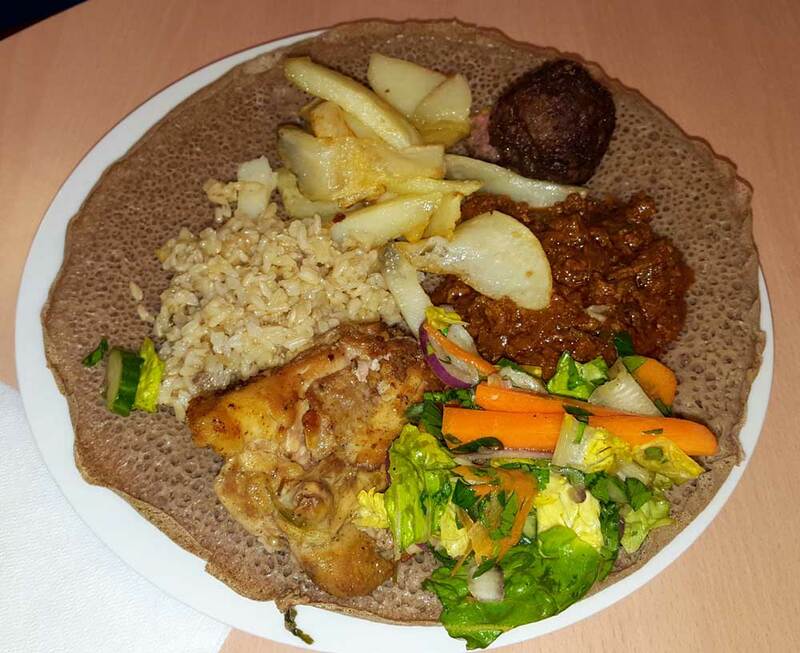 The food costs only 15 krone and you can drink free tea or coffee and enjoy good company. Thursdays: Training in the fitness center accompanied by a physiotherapist. Guide and help for refugees by an integration adviser especially for cases of family reunification. If you have a letter or a document you need to be read for you Thursdays are the best times you can get help at this place. Saturdays: Creative activities for kids their families. Older Post How to recognize meteorite.